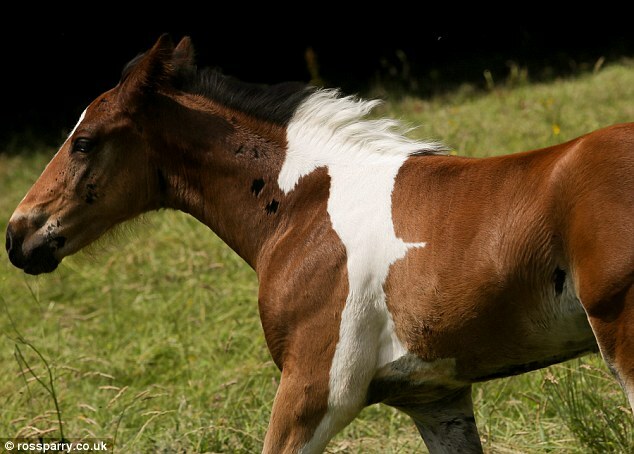 It looks like an optical illusion but this chestnut foal was born with his own perfect white shadow. The unique marking is the profile of another horse which runs up his left shoulder and neck. It then merges seamlessly from white to black into his mane.The pattern is such a work of art that the foal's owners have called him Da Vinci, or Vinny for short. He was born at the start of May at Fyling Hall riding school at Robin Hood's Bay, North Yorkshire. 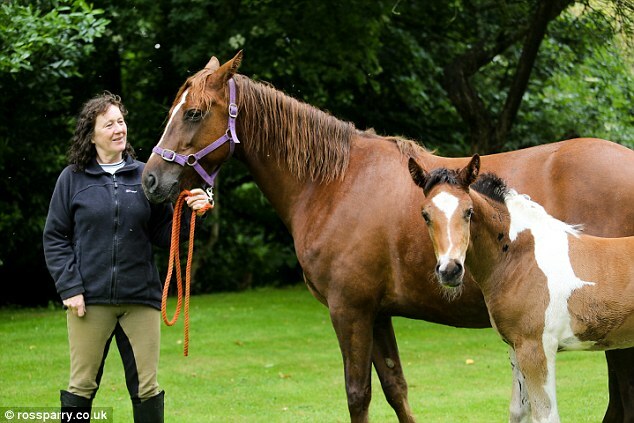 Wendy Bulmer, who runs the riding school, said: 'I bought his mother at a sale and didn't know she was in foal [pregnant] so that was a bit of a surprise. 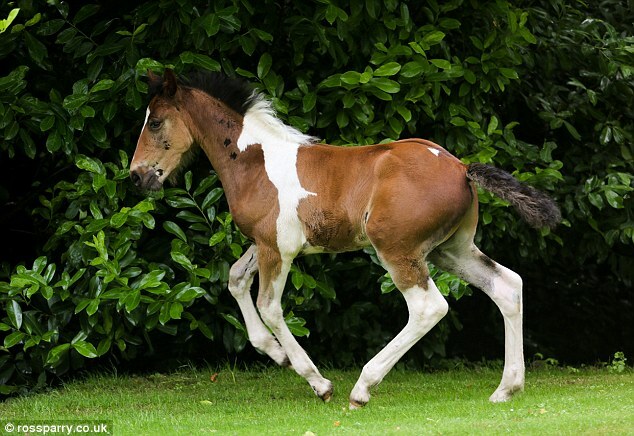 Responses to "Amazing foal born with a patch by his mane that looks like another horse (Photos - Video)"
Wow, that foal sure is beautiful. I hope it stays like that on him. Thank you for sharing this. OMG He is adorable and handsome. That awesome the way his patch looks like a horse. 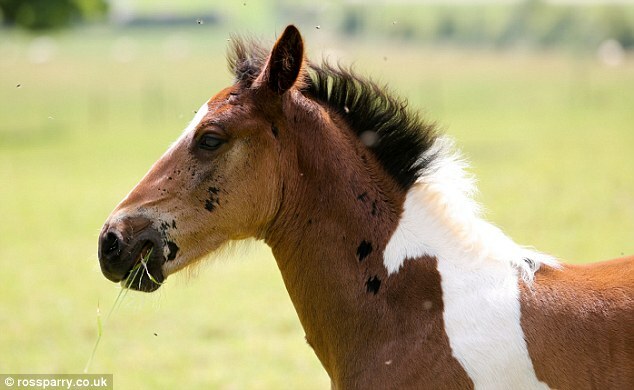 What are those patches near his mane are they brown birthmarks? I hope someone can tell me. Thank You for sharing this I love him and all horses. I hope they will name it white Spirit. So beautiful and awesome. Thank you so much. He is wearing the Uffington white horse (geoglyph)- I think he has been claimed by Epona! I think some of those dark spots are his "man hairs" growing in. We use to wonder if the markings would stay exactly the same after all the baby hair was gone.